Though rarely addressed in skin care regimes, optimising the skin’s pH level is vital for supporting the ‘acid mantle’, the barrier responsible for keeping moisture locked in. 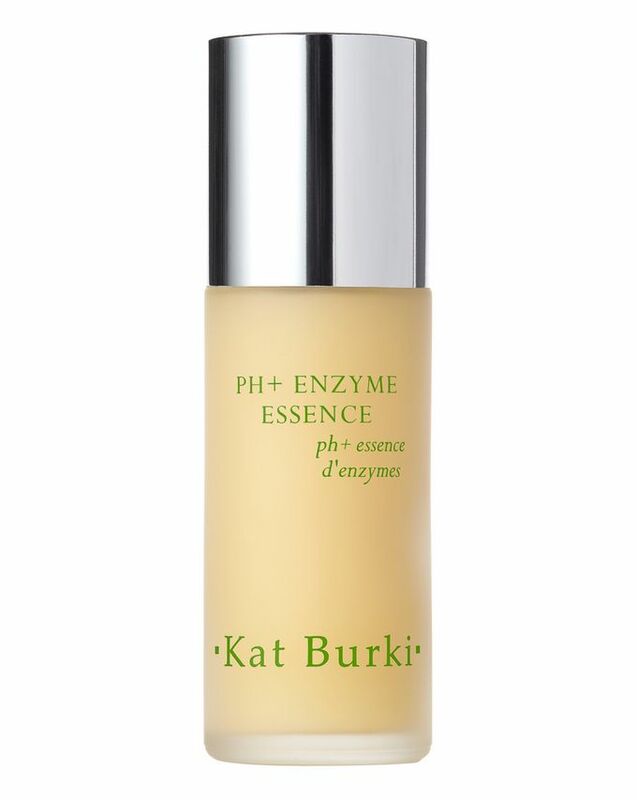 Utilising a unique complex of pH-balancing ingredients – including fruit enzymes and turmeric – this weightless essence packs a powerful protecting, exfoliating and brightening punch. Use it prior to moisturiser or serum to leave your skin smooth, moisturised and radiant. To keep moisture locked in, protect against toxins and fight secondary skin conditions – such as hyperpigmentation and weakened elasticity – it’s vital to support the skin’s protective barrier (or acid mantle) by maintaining the pH at a mid to acidic level. To achieve this effortlessly, Kat Burki’s PH+ Enzyme Essence is crafted from a unique complex of pH-balancing ingredients. Fruit enzymes help to resurface the acid mantle, creating a strong barrier and keeping skin soft and smooth while infusing cells with iron, zinc and vitamins C and K to fortify and strengthen responses. Antioxidant-dense turmeric strengthens skin cells, while vitamin C from orange hydrosols, pumpkin seed oil and papaya support collagen to maintain structure and firmness. A powerful essence that belies its weightless texture, the formula protects skin, helps to prevent breakouts and brightens as it exfoliates. For AM/PM use. Apply a dime size portion to fingertips and pat unto skin. Allow for full absorption. Use prior to your moisturizer or serum to prep and protect the skin and to optimize the skin’s acid mantel. I have fallen hard for Kat. I have her cleansing balm, the vitamin C cream and this essence. Unlike other reviewers, I have to say the smell makes me gag a little; it's not my cup of tea, but my skin loves the stuff SO MUCH that I'm willing to look past my nose. I haven't noticed any tightness or a film. I use 4 pumps to spread and pat into my entire face and neck and find that to be plenty. I've been using this for a month, every day morning and night and have so far gotten through 1/3 of the bottle. At that rate I'm expecting the bottle to last another 2 months! I follow this up immediately with my serums and there's never been any reaction with any of them. I love Kat Burki - I'm a total convert and a huge fan! The scent is cucumber which is okay but I wouldn’t say is going to be at the top of everyone’s favourite list. I absolutely hate this product, it doesn’t absorb well and when it does you can feel a tightening film on top of your skin. It’s like smearing cucumber sludge over your face and I can tell you it’s not “exfoliating, brightening or protecting” in the slightest. A very expensive mistake and one I hugely regret, can’t wait to finish the bottle and be done. This is by far the best essence I’ve tried. Lightweight texture, not too runny, it sinks in like a drop of water in a hotter day – just perfect consistency. The smell is subtle and lingers just as long as is needed to indulge oneself in a sweet cucumber paradise. I honestly was hooked by the ingredients, especially vitamins C and K, and it didn’t let me down. Instead, I enjoy my skin looking healthier, brighter and happier. Last, but not least – the bottle does last even for a frequent user like myself. Win-win! From the beautiful glass bottle and classy packaging to the stellar line up of ingredients, this is a class act. The smell puts me in mind of summer time and cucumber g&t’s - lush. The essence is former than most which I like, it’s a very light and extremely cooling gel which my combination skin loves. It’s moisturising, calming and soothing and leaves the face feeling refreshed. 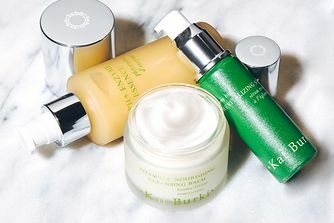 I like in hotter weather not having to wear a full-blown moisturiser in the daytime but still need good for my skin ingredients which this provides. I’m a big believer in the importance of maintaining the acid mantle and skin barrier function so this is a winner for me.